Healthcare Finance Online: Why Do Patients Accrue Medical Debt? Whether it is for a routine preventive health exam or treatment for a medical condition, everyone needs to go to the doctor at some point. Unfortunately, not everyone can afford to pay the medical bills associated with their treatment, leaving many Americans drowning in medical debt. In fact, a recent study concluded that nearly 43 million people in our country have unpaid medical debts. There are many reasons why a patient’s medical bills may go unpaid and in today’s post, we’ll review a few of the more common causes of the troubling impact this has on both personal bank accounts and the larger economy. At Epic River, we deliver debt solution technology that provides patients with a means of managing their medical bills. 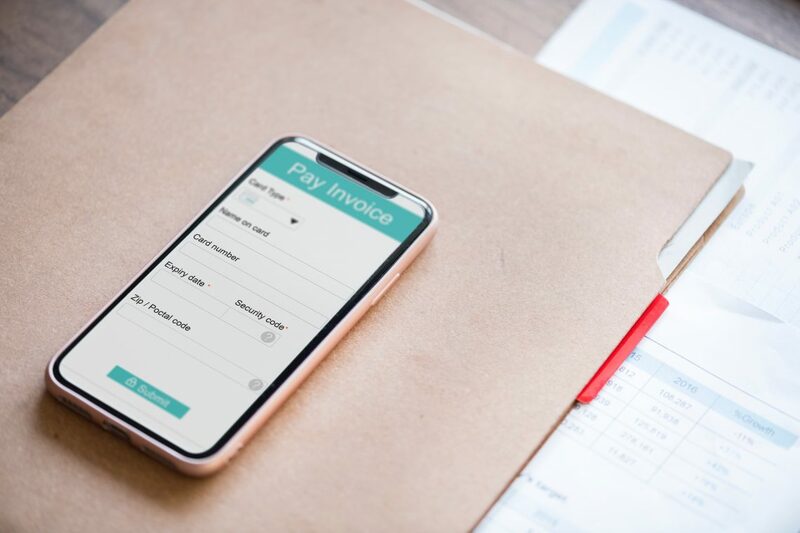 Our innovative solutions also benefit providers who are struggling to collect payments for their services, and those who are struggling to lower their Days in Accounts Receivables (DAR). Request your free demo now to see how our services can help your practice — and your patients! Why Do Patients Accrue Medical Debt? Individuals go to the doctor for a wide variety of reasons. The patient that arrived with joint pain this morning may be seeking care for a chronic condition, like arthritis, or may be suffering due to a specific event, like a car accident. In either case, the patient may be relying on traditional health insurance as well as coverage from other entities, such as workman’s compensation, a bodily injury settlement, or a spouse’s insurance to pay their bills. When there is more than one source of coverage available for a patient’s treatment, it can take some time to determine which entity will provide primary coverage. The individual may not have the means to pay out of pocket for their treatment, which means the bills may go unpaid until the insurance companies and other sources make a coverage determination. Sometimes, medical bills arise from unexpected events. An individual may have hurt themselves while on vacation, or they may have recently been given an untimely medical diagnosis. When this happens, patients are especially vulnerable to feeling overwhelmed by the multiple doctor’s appointments they have to go to. Once the medical bills start coming in the mail, this feeling of being overwhelmed is often compounded, and it’s not difficult to understand why. Even though the patient may have gone to one medical provider, he or she may receive a separate bill for the physician, another for the facility, and another for the lab. When you factor in co-pays, deductibles, and other insurance requirements, patients or their families often have a hard time discerning what they actually owe, and to whom they owe it. Patients who diligently review their medical bills may not be confused by the billing process, but they may postpone paying the bill if it has inaccuracies or errors. Billing errors, like improper coding, improper bundling of procedure codes, and duplicate billing, can all inflate medical bills. So, how common are medical billing errors? Unfortunately, they are very common. In 2016, Medical Billing Advocates of America reported that they were finding errors in three out of every four bills they reviewed. Repricing a bill might seem easy enough for the healthcare administrator to do; however, if the bill has to be resubmitted to insurance, both the patient and provider may find themselves in a holding pattern before an accurate patient balance is determined. Did you know that the average amount of total household debt is on the rise? In 2017, the Federal Reserve Bank of New York estimated that Americans’ debt had reached a staggering $13 trillion. This debt includes everything from student and car loans to credit cards and other forms of unsecured debt, including medical debt. 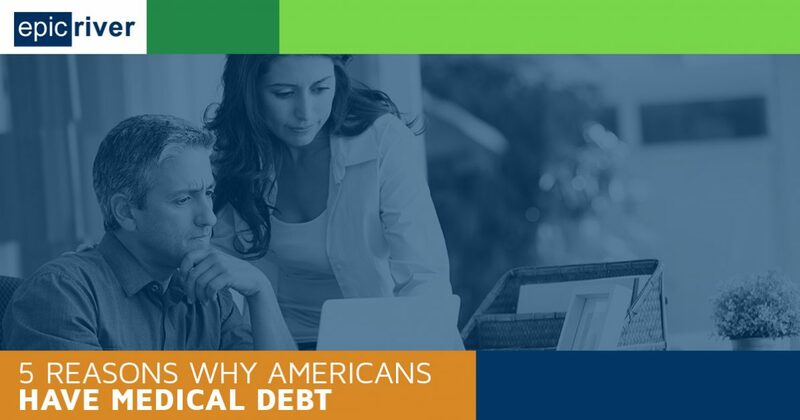 In fact, the Consumer Financial Protection Bureau estimates that approximately 52% of all debt on credit reports is the result of medical debt. This indicates that patients may find themselves having to prioritize their debts, making tough decisions about the bills that absolutely must be paid on time and those that can wait. When it comes to basic necessities, such as housing and transportation, outstanding medical bills may be put on the back burner. Can Your Organization Benefit from Patient Lending? 100 percent, up-front payment for your medical services. Receive full payment on your medical billing from an accredited (and oftentimes local) financial institution. Simplified healthcare administration and collections. Offload your statements and payment processing by transferring the burden to a financial institution. Reduced DAR. Full, up-front payment of your practice’s billing statements can reduce your DAR by as much as 8 – 10 days. Increased cash flow. When you have fewer outstanding patient responsibility accounts, your practice will have more money to put towards other operational needs and growth initiatives. FREE platform, implementation, and training for providers. We don’t charge providers a dime for this technology. Instead, we make our money on a percentage of the interest the partnering banks collect. Is your medical practice struggling to get out of the red every quarter? Do you wish that you had an option to offer your patients who are struggling to stay current on their accounts? If so, then Epic River is here for you. Our innovative software connects financial institutions and medical providers to offer patients low, fixed-interest loans. These solutions are a win-win for all parties involved, allowing you to lower your DAR and empowering patients to pay their bills promptly and in full. Ready to get started? Request your free demo now!